Stylish, secure and sustainable, UPVC Windows for every home. Of course, UPVC windows aren’t just there to look pretty. Within our range, you’ll find the highest energy rated windows on the market. Many of our window systems are made from 100% recycled UPVC components, so they’re not just high quality, they’re sustainable too. And for added peace of mind, all of our UPVC windows come with a high security frame with a multi-point locking system. A guide to the differences between UPVC window styles. Find out how we can help you get the right windows, and save you money too. Up to 10 year guarantee against warping and discolouration. Colour match guarantee so everything matches perfectly. Improved thermal efficiency helping you keep your home warmer. Superb energy efficiency performance helping you keep your bills down. Discover the Eurocell hardware range, with more than 3000 products available, many of them ready for same working day despatch. Because we supply the full range of UPVC products you can be assured you that all colours are exactly matched across our entire range of window, door and roofline products. It means that our whites are the same white across all products and our woodgrain finishes are all perfectly matched. No matter what the age, style or size of your property, we can create high-quality UPVC windows and doors to enhance and add value to your home. Our UPVC products, including windows and doors, are durable and robust, giving long-life, low-maintenance performance, with no need for painting or other treatments. They are fitted with high security locking mechanisms too, giving you the peace of mind that your home is well protected against intruders. 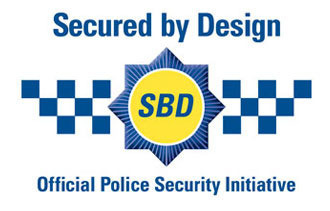 Many of our windows, doors, conservatories and other UPVC products are covered by the official Police security initiative Secured by Design. For more information on our accreditations, visit our Awards and Accreditations page here. Our multi-chambered frame designs deliver exceptional energy efficiency for both UPVC windows and doors – helping to keep your home warm and comfortable all year round, as well as helping to reduce your energy consumption. Our slim window frames also allow the area of glass in windows to be optimised, maximising the amount of natural light within your home. For more information about sustainability and Eurocell's commitment to recycling UPVC window frames visit our extensive UPVC Sustainability section here. How to Stop Condensation on Windows - a helpful guide to a common problem. Why choose Eurocell UPVC Windows? Beautiful and award winning products, unbeatable customer service, commitment to sustainability and unrivalled choice? There are so many reasons to talk to Eurocell about your UPVC windows. What’s the price of Eurocell UPVC windows? Price depends on the specification and size of your chosen window style. To receive an accurate quotation, please call us on 0300 333 6525 or submit a request and we will put you in touch with your local Eurocell installer. Where can I buy Eurocell UPVC windows from? Eurocell has a network of 10,000 fabricators and installers around the UK. Call us on 0300 333 6525 and can advise you on the nearest suitable installer for your needs. Who will install Eurocell UPVC windows? Most window companies will offer a supply and install service. Those that don’t will be able to put you in touch with experienced, professional installers. Will new windows reduce noise levels from outside? Yes! Modern double-glazed windows have much thicker glass units than windows of 10 years ago. This cuts down noise transfer, so you hear less noise inside your home, for a more peaceful, relaxing lifestyle! Will I need to move out while the windows are being installed? No, you shouldn’t have to move out of your home while your new windows are being installed. Reputable installation companies will be able to complete the task quickly and efficiently. They normally complete one room before moving onto the next and will talk to you first to explain exactly what is involved. How long will it take to install my windows? Exact time depends on the number and style of windows. But as a general rule, a whole house (8-10 windows) should be fitted in 1-2 days. Your window supplier should carry out a full survey before the new windows arrive and will therefore know the extent of work required. Carrying out the survey also means they will have manufactured all the replacement windows to the exact size needed to replace the old frames – again minimising time on site. How can I tell if a window is energy efficient? Look out for the British Fenestration Ratings Council (BFRC) Window Energy Label. This is similar to the one you may have seen on your fridge or washing machine. A-rated windows are the most efficient and are the best way of improving the energy efficiency of your home. What will happen to my old windows? Your window supplier should be able to deal with the old windows. If they’re made from UPVC then they can be sent to a recycling facility where they are used to make new energy efficient products. Eurocell has its own UPVC recycling plant. How can I make sure my windows have adequate security features? If you’re worried about your home being a potential target for burglars, then it’s definitely worth asking your window supplier if the company’s products are Secured by Design (SBD) accredited. What guarantee should I ask for? Most window companies offer a guarantee. Ask for details when you request a quote. Will I need to re-plaster inside my house? Some minor plaster work may be required around the window reveals, although your installer should carry out this work. Will I need to remove window dressing such as curtains? Will the installer need access to my house? Yes, they will need access to both the exterior and interior of your house to carry out window replacements. A reputable installer will make these arrangements with you and ensure that any mess is cleared away when the job is finished. How do I know if my installer will be reliable? Ask for three references, which will allow you to speak to other homeowners and find out what kind of service they provide. Do I need planning permission for windows? Planning permission is not normally required for repairing, fitting or replacing doors and windows, unless you own a listed building. If you live in a conservation area (or other designated area) you should consult with your local planning authority. Visit: www.planningportal.gov.uk for more information. How should I clean the frames? Normally, a soft cloth and warm soapy water is all that is required to remove dirt and grime. If you want a professional quality finish, specialist PVC-U cream cleaner is available to buy from all Eurocell branches nationwide.Abrasive cloths and solvents should never be used to clean PVC-U, as they will damage the surface finish of the profile. Not all UPVC window systems are the same. From classic casement windows to innovative tilt-and-turn styles, plus beautiful vertical sliders, French windows, entrance doors and bay windows Eurocell manufactures and supplies the very best UPVC, all from Derbyshire. For more information and to help you understand your options we've created a set of helpful brochures. They're packed with all the information, inspirational images and case studies you need to make the right, informed decisions. Download your brochures below. Then get in touch with us and we'll help you keep things simple through every stage in selecting and installing UPVC windows. If you have any questions about Eurocell, how we can help you find the right window installer in your area, or would like an approximate cost for your project, our team will be happy to help. Call us on 0300 333 6525 or send us a question here.